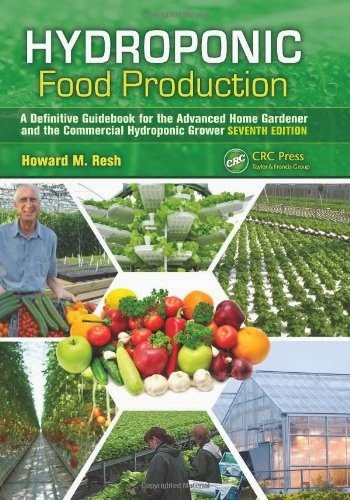 Homemade Hydroponics System Is Easy For Your Home Garden ~ Hydroponics - Soil-less Gardening. For systems that use drip or spray heads, Not every type of hydroponics system lends itself well to homemade design. You have many costly items to purchase before you can produce a properly working system. 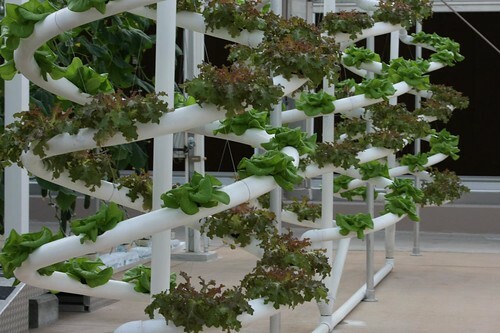 Usually, you end up learning a lot from your first failed attemp if you choose to build your own drip system or aeroponics system. There is one easy and relatively inexpensive homemade hydroponics system I have found. It is the homemade ebb and flow. 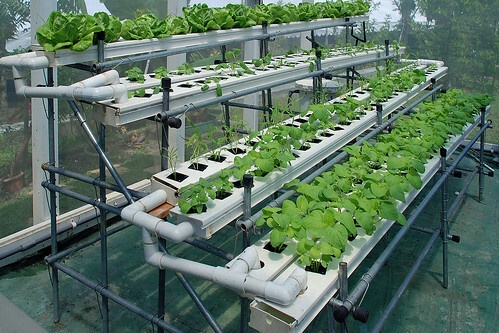 For a homemade hydroponics ebb and flow system, you will need two cheap plastic storage totes, an aquarium air pump, an aquarium water pump, a timer, a set of flood and drain fittings, and a short length of plastic tubing. If you are not sure what flood and drain fittings are, go to Google, click on "images", and do a quick search for "flood and drain fittings". First, one tote will be your nutrient reservoir. Pick a dark color tote to keep light out of the nutrient solution...this will help prevent the growth of algae. The air pump should go to a couple of air stones, which will be kept bubbling in the nutrient reservoir. The water pump goes here as well. Your water pump should be able to move at least 100 gallons/hour at a height of 3 feet. The pump should cost you about 30 dollars. The other tote will go on top of the nutrient reservoir and hold the plant containers. Plant containers should be filled with expanded clay pellets or something equal, like lecca stone or lava chips. Somewhere in the bottom of this container you will drill two 3/4 inch holes and install the flood and drain fitting in one, and the overflow fitting in the other. Finish it off by running a short piece of tubing from the water pump to the flood and drain fitting. All you have left to do is plug the water pump into the timer, set your timer for your flood and drain cycle, and fill the nutrient reservoir with ten gallons of solution. Flood your plant container for a 1/2 hour 4 times a day while the lights are on. When the pump kicks on, the top container will fill with water. It takes a while for the clay pellets to really absorb the nutrient solution. When the pump kicks off, the nutrient solution will drain back down the shorter fitting, leaving the plant roots and the clay pellets wet with nutrient solution. The flood and drain system is the homemade hydroponics system I use most often. The function of the system is simple. The results are consistently very good. The system is so easy to put together. Before you get started...your systme is only one piece of the indoor gardening puzzle. You must have control over the environment you place your garden into, and this environment must be to the plants liking. In addition, you will have a much better chance at success once you learn the exact nutrient requirements of your plants at every stage of their development. Learn these things and you are sure to have a hydro-greenthumb. In order to meet these feeding requirements, you must learn how to properly maintain nutrient sollution in a reservoir.